You’ll find Aldridge’s dark take on domesticity in the exhibition hall one level down in Somerset House’s vaults. Daily 10.00-18.00, late Fridays. 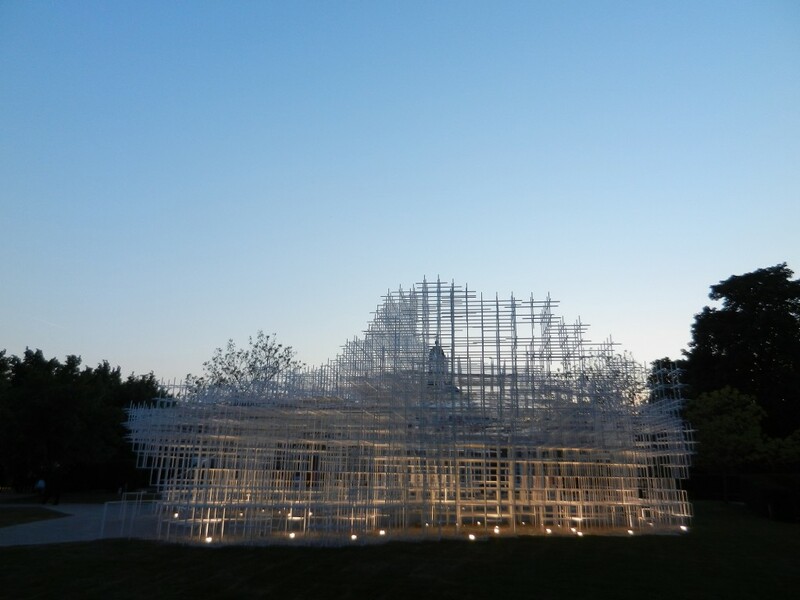 Fujimoto’s delicate, latticed structure blends like a beautiful London cloud into the park. Come and chill out here when you feel yourself freaking over missing Bikram for a month. Try and make space in the schedule to see the kings of immersive theatre – Punch Drunk’s latest show. Spread over four vast floors, this eerie, intense and dark exploration into 50s America will engulf you for hours. Leave the Balenciaga at home. This is where you’ll find the coolest bar in town, hidden right in the hot core of the Wild West and London W2.